Having finished my King Cole Cobalt top (post to follow tomorrow after blocking), I prepared to pack my stuff away, until I have the yarn and pattern for my next project. I picked up the notebook in which I record my progress and glanced down at my notations and I began to wonder how other crafters record their progress through a pattern? I realised pretty early on in my knitting career that my memory is dreadful. Just remembering which row I was actually on, never mind which row I needed to be on when I had reached a specific point such as decreasing for sleeves, turning for a scooped neckline etc., was a challenge. At some point in the past, I was even given a set of needles with a row counter on them but as that method relied on me actually remembering to count on at the end of each row , it was kind of doomed from the get go. Oh and it didn’t help at all with the decrease or split rows. During casting on or decreasing of stitches, I find myself counting the stitches at least three times to make sure I have the correct number, as distractions such as Mudlets squabbling, Mud walking into the room talking to me, or even something on TV catching my attention, have me doubting the number I think I have counted up to. Not such a problem on the cuff of a baby cardigan but massively frustrating when nearly at the end of the 189 or so stitches of a pick up and knit row of a neckband. By the same token, these reasons rule out counting the rows in an adult sized garment, to see where you are, which is what I seem to remember my mother doing. So back in my youth, I came up with the perfect solution: notebook, pen and a tally chart. 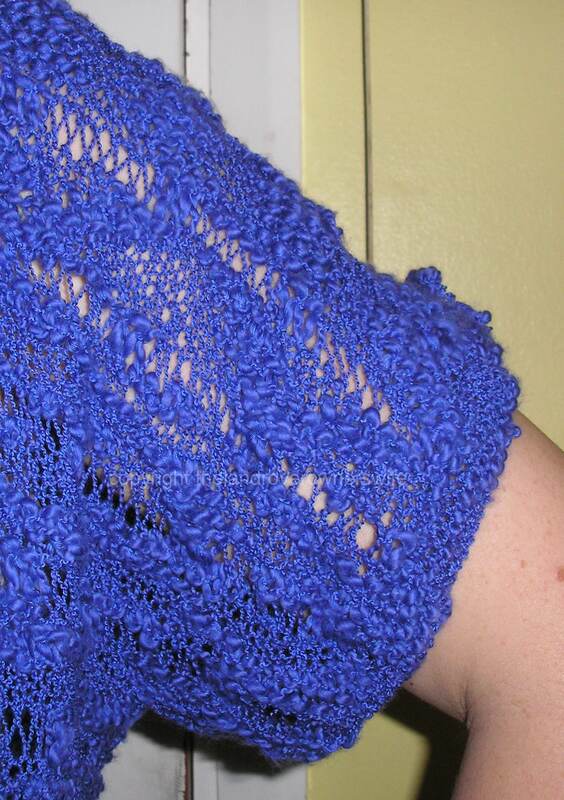 So I knew the front of the sleeves had to be 60 rows from the last increase row to the start of shoulder shaping. I have been using this method for so long that it is now second nature to make a mark on the notepad at the end of each row. In addition I have a whole set of little symbols which I used to denote the end of a pattern panel (the little circle was used to denote the end of the 10 row pattern panel in this project) and the end of a specific set of instructions whilst knitting in pattern, such as the little triangle which was used after the sleeve increase rows ‘cast on 7 stitches at the start of each of the next 4 rows‘. You should see my tally chart for a multi paneled cable jumper – circles, squares, triangles and stars, talk about busy. Sounds confusing I know but to me it makes perfect sense and I can see at a glance where I am in a pattern. I knew, for example, that I had to knit 100 rows of the front to ensure the sleeve increases started at the same spot on that piece as it did on the back and it was a further 60 rows from the the last increase row of the sleeves to the shoulder shaping. Simples. So am I the only tally charter out there? How do the rest of you keep track of where you are? Pen, paper, and a tally for me too! Oooo! Enjoy your holiday in the sun. She’s with Mum & naughty Lucy the spangold. And yes she does the I’m sooo sad very well! I wish I had the sense to be that systematic. I seem to spend most of my knitting time counting back to see where I was when I left off! I’ve not yet attempted anything so complicated. But I shall bear it in mind, when I do!